Whether you need help with some basic duties over the course of the event or need PA to organise the entire event, we can help. 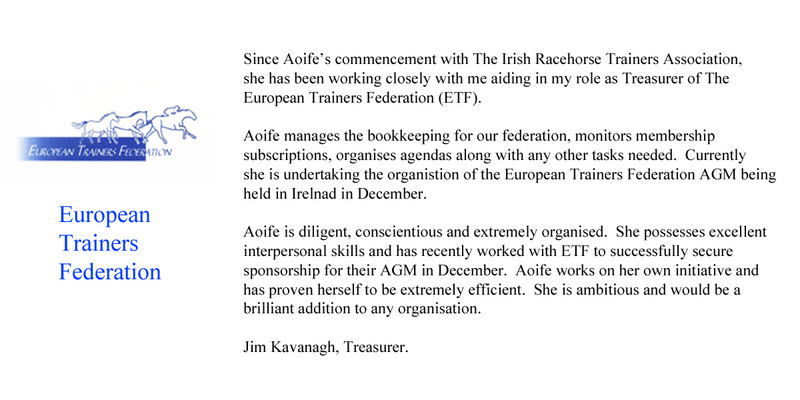 The European Trainers Federation represent the interests of all member racehorse trainers’ associations in Europe, liaising with political and administrative bodies, exchanging information for the benefit of trainers and to provide a network of contacts. Each year an annual general meeting is held, with representatives from each member country in attendance. 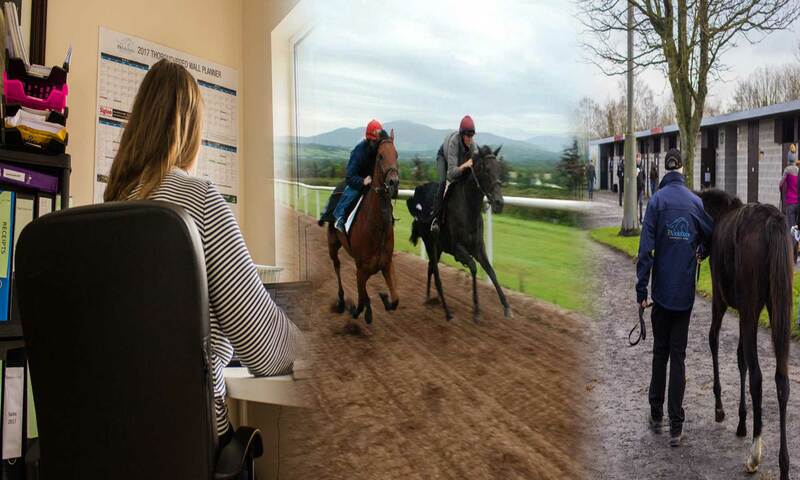 Mills and Willie Mullins on Saturday morning and the annual general meeting on Saturday afternoon, with an informal meal on the Saturday night at The Kilashee House Hotel in Naas, Co Kildare. The AGM was sponsored by Connolly’s Red Mills, Foran Equine, Bedmax and Irish Thoroughbred Marketing. Organisation of site visits and a gala dinner including invitations, name badges, table plans etc.